The Whale Resort is a 3.5 acre beachfront property with three homes, each home is privately secluded from the others, with trails and pathways full of colorful vegetation, connecting each home through-out the 3.5 acres. Words are hard to describe this property. It’s a 3.5 acre beachfront property with two homes, each home is privately secluded from the others, with trails and pathways full of colourful vegetation, connecting each home throughout the property. You can enjoy the jungle meeting the ocean, be near the best surfing on the planet, and have access to the best sport fishing the Osa has to offer! Our entrance is gated, and when you go through the gates, it’s like passing through to the other side into a wonderland of Mother Nature’s tropical paradise! It offers the best of all worlds. It sits on the shore of Playa Juanito Mora, one of the most beautiful beaches on the Osa Peninsula, yet still sits in the middle of the most luscious tropical jungle, flooded with several varieties of Heliconia, and colorful orchids sprinkled through-out! Toucans, Scarlet Macaws, Titi Monkeys, Cappuccino Moneys, and Howler Monkeys are all there too! No matter what your personal interests may be, whether it’s bird watching, or hiking, or whale watching, or enjoying our botanical gardens, we have a little bit of everything for everyone to embrace and to see! The Whale Resort includes two homes located on the property. Each home has its own pool and private deck area. There is also a third home, currently used by the onsite manager. This is a three bedroom/three bath, and sleeps 6 – 8 comfortably with A/C. It has one king, one queen, and two singles in our bedrooms, along with an over-sized pull out futon sofa bed in the family room. This house is fully equipped with a large kitchen, a wet bar, and a large entertainment room for social gatherings, and two HD TV’s. It has its own private pool and deck area with large porch areas, and enough outdoor seating for 20 + people and a giant gas grill for a great pool party! It’s also oceanfront so everyone has a great view. It has its own gated entrance and enough parking for 5 cars. This is a one bedroom/one bath with a King Sized Bed, along with two over-sized pull out futon sofa beds in the family room. It will sleep 6 comfortably with A/C. This house is fully equipped with a small kitchen and bar area with a HD TV. It has a large front porch area, and has its own private pool and deck area. It has its own gated entrance and enough parking for 2 cars. Our vision has quickly become a reality. Our goal is to provide a very unique experience for groups of 8 or more, when traveling to Costa Rica. Finding single accommodations for larger groups is difficult, so what if there is an alternative to expensive hotels at an affordable price? What if you could rent your own private first class oceanfront mini resort? Rent it exclusively for your group only, where everyone would all be together, all in the same place, all at the same time, oceanfront, poolside, and on the beach! Accommodations at the resort currently include 2 homes, and will sleep 14 comfortably. 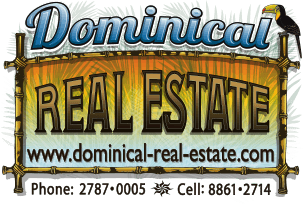 Each home is situated throughout the 3.5 acre oceanfront jungle property! There are four species of monkeys in Costa Rica. We have three of them, and they live on or near our property. You will find that they are all pretty social, and as curious about you as you are of them. If you’re patient enough and have a large supply of banana’s, they will entertain you all day long. Our property is full of Palma Real, which is a tree that grows a special nut preferred by Scarlet Macaws and Toucans. Have your camera ready. It’s not uncommon to catch a monkey, a macaw, and a toucan, all at the same time! We also have small seating area’s spread through out the trails to enjoy the nature, so you might find yourself wanting to sneak away to read a book, have a snack, or maybe to enjoy a bottle of wine, chilling out and fully enjoying all of the peaceful surroundings. Costa Rica has a high season and a green season. The green season is basically from August to early December, mainly because it rains more. I wouldn’t let the rain deter you. It’s always beautiful. It mostly rains in the afternoons in the green season. There is plenty to see and do all year round, rain or shine. The Osa is always a haven for a rich diversity of flora and fauna, and always an abundance of marine life including dolphins and huge Humpback whales, and the sport fishing is always good. Can you imagine what it must feel like, seeing a 60′ Humpback whale surface or launch herself, with her baby close by her side! It’s not uncommon for our guided boat to run around the bay with a mom and her baby for an hour at a time, or longer! We do offer wireless internet and we will keep you connected, but we ask you understand, “You are in the jungle, in the Osa Peninsula”, so your expectations should reflect the same! We have decent service most of the time, but bandwidth is limited and the afternoons can be hit and miss. If you want to upload/download files, or use Skype etc. do it at night. If you really need massive data capacity, and want faster speed, then the later the better. I can tell you there are many guests that run businesses “even when vacationing” and they do it successfully from the Whale Resort, but do their heavy work later in the night, or early in the mornings. For your exclusive showing, contact us today.